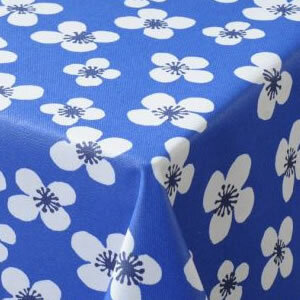 Blue is such a strong colour and compliments our range of Acrylic Wipe Clean tablecloths. Take your time to browse our range of these wipeable tablecloths. All our acrylic tablecloths are machine washable, therefore they are great for those busy homes! Order your tablecloth now whilst stocks still last!